Date: Feb 23 2019, 9 p.m. 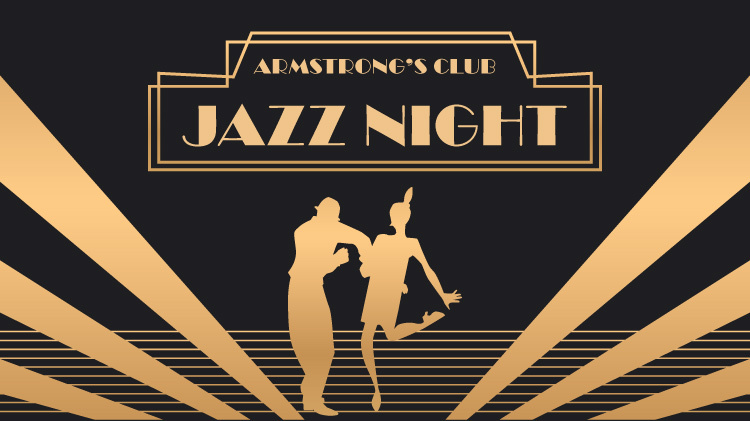 Relax and let the music take you on a ride at Armstrong's Club Jazz Night. Enjoy Smooth Jazz, Funky Dance Music and dynamic R&B tunes performed by a live jazz band. Doors open at 9 p.m., band begins at 10 p.m.